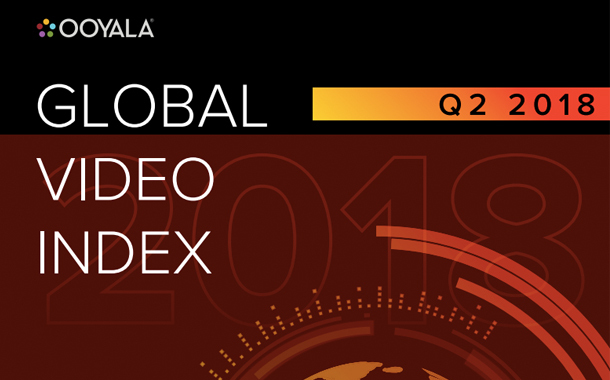 The latest Ooyala Global Video Index report for the second quarter of 2018 has found that smartphone-only video starts topped 50% globally for the first time, a 13.2% year-over-year change and the largest in five quarters. And despite the temporary levelling-off discovered in the report for the first quarter of 2018, the new survey revealed that video plays on mobile devices such as tablets and smartphones surged 9.8% globally in the second quarter, exceeding 62% of all online videos for the first time. Examining regional mobile video viewing trends, Ooyala found that in North America, mobile plays increased to 56% of all video starts, up 4% year-over-year and up 14% since Q2 2016. Mobile starts in North America have now exceeded 50% for eight quarters while long-form time watched on smartphones topped 75%. This trend reflects totally other surveys in the US , such as that carried out the by the NFL which 65% viewing increase on digital devices over past year and a 147% 2018 season boom in smartphone NFL content consumption. Such things, said Ooyala has implications for future linear versus mobile viewing with in the case of the NFL, viewing on mobile devices doubling which linear fell. In the Europe-Middle East-Africa (EMEA) region, mobile video hit 54% of all starts, up from 49% a year ago and mobile video’s share of all plays in the Asia-Pacific (APAC) region was 74%. This was the region’s highest-ever rate and was up 64% in two years. Latin America’s mobile starts topped 65%, an increase of 20% year-over-year and 38% over two years. In APAC, time watched for long-form content topped 42% on tablets and 33% on smartphones. Asia-Pac hit a whopping 74% of plays on mobile devices, up from 61% a year ago. That’s a 21% increase Y/Y and a 64% rise over the past two years.Asia-Pac has also seen mobile plays above 50% since Q3 2016, tied for the longest run above 50% with North America. The Asia-Pacific region is a competitive one in terms of OTT, with multiple telcos investing heavily in content and virtual bundles of content targeted specifically for consumption on mobile devices. Going forward, Ooyala predicts a ‘massive’ uptick in mobile viewing for Q3 2018 particularly as more fans watch NFL games on their mobile devices, and, just as legacy TV networks use NFL games to drive traffic to other television content.